On May 9th 2012, the European Commission and Europeana had invited Ministers from the Education, Youth and Culture (EYC) Council, senior leaders of European memory organisations and leading figures in the creative industries to raise awareness of Europeana among citizens and to demonstrate that online cultural heritage is a driver for growth. Each person had the possibility to choose one object from Europeana as national masterpiece. 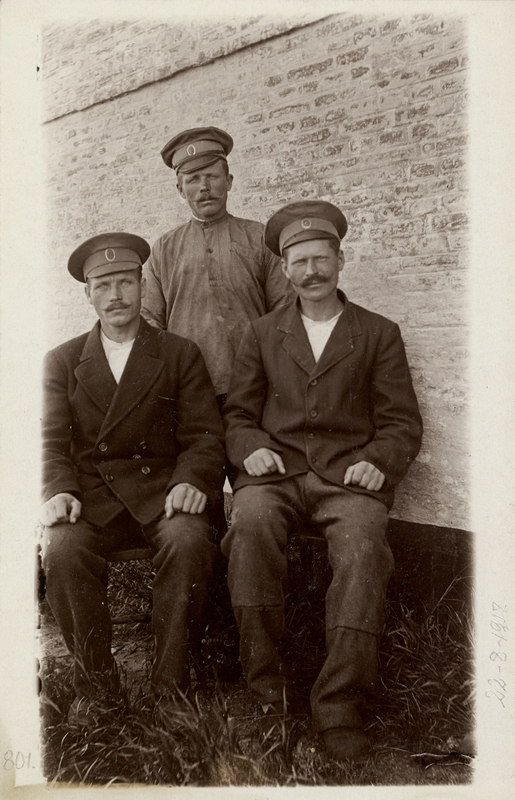 The Culture Minister of Denmark, Uffe Elbæk presented the photography “Three Russian prisoners of war 1914-1918 in Danish care, thanks to Red Cross” from the Royal Library of Denmark. This object had been provided to Europeana via the Europeana Collections 1914-1918 project! Please find the essay Uffe Elbæk wrote on the relevance of the photography for Danish history here. You can also visit the complete list of all other chosen masterpieces. As part of The Europeana Collections 1914-1918 project, which by 2014 will make over 400,000 sources on the First World War publicly and freely available online for the first time, the British Library is planning to digitise and distribute free via the internet 22 volumes of Reports of the Censor of Indian Mails in France,1914-1918. These reports contain extracts, translated into English, of several hundred letters written by soldiers of the Indian Army serving in France during the First World War. Many of the soldiers came from the north and north-west of the Indian sub-continent. It is believed that the copyright in much of this content has expired. Should you believe that you hold rights in any of the material, please write to Teresa Harrington, Project Support Officer, Europeana Collections 1914-1918, The British Library, 96 Euston Road, London, NW1 2DB with proof of copyright ownership. Please note that the Library is not able to pay any fees for the use of these works. A report on Kitchener Indian Hospital, Brighton. Col Sir Bruce Seton. c1916. A short history in English, Gurmukhi & Urdu of the Royal Pavilion Brighton and a description of it as a hospital for Indian soldiers, 1915. Brighton Corporation, 1915. Indian force for Europe. India Office Mil Dept, 6 Sep 1914. Report from Gen Sir John Eccles, Nixon, Commanding I.E.F. ‘D’, on the battle of Kut-al-Amarah 28th September 1915. Delhi: GSI, 1915. Report from Lt-Gen Sir Percy Henry Noel Lake, Commanding I.E.F. ‘D’, on the defence of Kut-al-Amarah under Maj-Gen Charles Vere Ferrers Townshend 3rd December 1915-29th April 1916. Simla: GSI, 1916. Report by Gen Sir John Eccles Nixon, Commanding Indian Expeditionary Force ‘D’, on the operations in Mesopotamia for the period from the beginning of October 1915 to the date he relinquished command of the force, 19th January 1916. Delhi: GSI, 1916. History of the 15th (Imperial Service) Cavalry Brigade during the Great War 1914-1918. London: HMSO, 1920. A brief record of the advance of the Egyptian Expeditionary Force under the command of Gen Sir Edmund Hynman Allenby, July 1917 to October 1918. London: HMSO, 2nd edn 1919. As part of The Europeana Collections 1914-1918 project, the British Library is planning to digitise and distribute free via the internet 46 collection items of books, journals, pamphlets and photographs relating to Canada’s involvement in the First World War.